Pocket knives make a great gift for a son or father, no matter what the occasion is. This is because these knives can be used in just about any situation and because they come in many different styles, finding the right pocket knife for your loved one can be something of a task. However, understanding the many different styles and types of pocket knife available on the market can help you choose the right knife for the job. When picking out a pocket knife for your recipient, you should consider what they would be using the knife for. General purpose pocket knives are great to have for opening letters, removing splinters, or any small task which a sharp blade is needed. 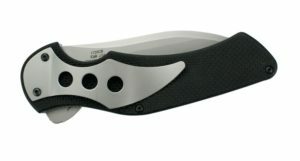 However, if you want to offer a bit more utility for your loved one, you might want to consider the Swiss pocket knife. Swiss Army pocket knives have long been known for their versatility and they come in many different sizes and shapes, some with more features than others. The most basic Swiss Army pocket knife features two blades, a pair of tweezers, a toothpick, and a pair of scissors. However, more deluxe models also feature things like a screwdriver, bottle opener, corkscrew, and even a ruler for making measurements. This is truly an all in one tool, so if you know someone who likes a gadget which has multiple functions, then the Swiss Army knife is probably a good gift for them. While Swiss Army knives are great pocket knives for those who need lots of features, they are anything but a small pocket knife. For someone who is looking for a generic knife which offers a blade in order to get the job done, Smith and Wesson offers a line of knives which are excellent for this purpose. Their most popular line of knives is the buck pocket knife, which is foldable and fits inside the palm of the hand, yet it’s made of stainless steel with ridges near the base of the blade for tearing through muscle tissue while hunting. These knives make excellent skinning knives and no hunter should be without one, no matter which game he hunts. Since there are so many different styles and functions of a pocket knife, you might want to consider the personality of the person you are purchasing the pocket knife for. A hunter would definitely appreciate a Swiss Army knife, but they may get more use out of a buck knife that is specifically designed to handle flesh and sinew, whereas a Swiss Army knife is not. In addition to the different styles of knives that are available, there are also many different materials that these knives are made from. Stainless steel seems to be the most popular, as it does not rust and it holds a sharp edge for quite some time. However, it is not uncommon to find knives that are made of other materials, such as ceramic knives. These knives are generally less common than their stainless steel counterparts, but they are known for holding an extremely sharp edge. Small pocket knives will always be in demand among men, so if you’re unsure of what to get your husband or son for his birthday or an anniversary, you can bet a pocket knife is a sure fire gift which will please. If you want to personalize the gift, it is possible to get the knife engraved with their name, or a saying in order to make the gift that much more personal. When buying a knife for your loved one, make sure the knife accentuates their personality so the gift is a hit. If you are in the market for the best folding knife or fixed blade knife then you have come to the right place. As they say, good shoes will take you to good places; but so will a good knife. The best knife will provide you with security, ease of use and most of all peace of mind. There is a huge difference between choosing the best folding knife for a civilian and a knife for a soldier. Initially determining your purpose for purchasing a folding knife will lead you to find a suitable one. So what are the best folding knives and fixed ones then? Here are 3 good options for the best folding knife and fixed blade knives for you. These knives have been chosen according to the most important criteria in a folding knife for survival and self-defense namely: ease of use, the weight of the knife, the quality of the blade steel, the quality of the blade edge, the material used for the handle and the size of the knife. Benchmade 551 Griptillian Pardue Design Knife is a full-sized cutting tool that is available at an attractive price. What is unique about this thumb knife is that it has an excellent grip in the hand although sometimes it can get a bit messy to hold his knife especially when wearing gloves. The Griptilian knife comes with a blade that is 3.45” long, thickness is 0.115” and the material used in this knife is stainless steel. It is relatively lighter compared to other knives and its valox handle provides users with a solid grip on the knife. The relatively lighter weight of this knife makes it a perfect companion to carry anywhere in a bag or pocket. The one interesting thing about this knife is that when it is open, the balance shifts just a fraction behind the lock slide axis.The built-quality of this knife is fabulous and it has excellent durability. If you are looking for a German pocket knife, you should go through the information in a very careful way. If you are well aware of the pocket knife terminology, it is possible to select the best knife for your needs. The terms used to specify a pocket knife include back, belly, blade, bolster, bolster lining, bone handle, carbon, edge, handle, lock, point and spine. There are a number of other terms as well. You should check the durability and price. 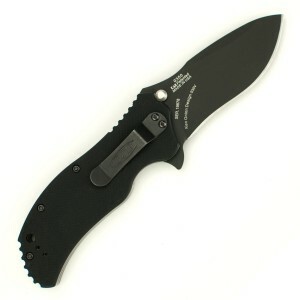 The best German pocket knife that you select should fulfill your needs in an effortless manner. The pocket knife should be opened and closed in an appropriate way so that you will not get injured. When you close a folding knife, you should hold the blade and the handle should be closed. The closing should be done in a very careful way. The knife size will be small and the handle will be big. There is the probability that the knife moves away from the handle. If you hold the body in a firm way, the blade can be closed in an efficient manner.